This is the latest phone from OnePlus, the predictably named OnePlus 5T. This phone is dropping just a few months after the OnePlus 5, so it’s not surprising much of that phone’s hardware has been recycled. The new features consist of an updated display, some software tweaks, a new camera setup, and a few design revisions. All cards on the table—this is a slightly better OnePlus 5 for slightly more money. That makes it a good deal, but OnePlus is flirting with disaster if it keeps jacking up the price every time. Speed This phone is fast. It rivals the Pixel 2 most of the time. Display The 18:9 display offers more space without making the phone harder to hold. Design Getting rid of the capacitive buttons is a win, and the phone still has a clean aluminum chassis. Price $499 is a great price for what you get. Software OxygenOS is a capable version of Android. Price again The OnePlus 5T brings another small price increase. These add up, and could eventually put OP in direct competition with the likes of Google and Samsung. No Oreo The phone launches with Android 7.1.1. There’s no excuse for that. Display again It’s only 1080p, so there’s a little fuzziness if you look (very) closely. Camera Removing the telephoto camera was a mistake. 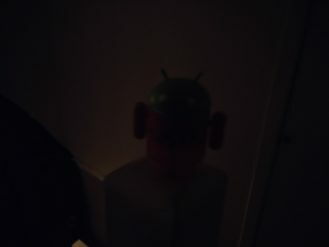 The low-light secondary camera doesn’t make a huge difference. Charging Dash Charge only works with the stock plug. Face unlock This feature works nine times out of ten, which isn’t good enough. No IP rating The OP5T still isn’t water resistant. It’s starting to be a detriment as more phones include an IP rating. The OnePlus 5T sports a unibody aluminum chassis very similar to the one that debuted with the OnePlus 5. I’m going to say various snarky things in this review, but I want to offer some unqualified praise for this phone first. I’m pleased as punch OnePlus has not followed everyone else to the land of glass phones. The metal frame phone is clean, understated, and it doesn’t get covered with fingerprints the moment you pick it up. You could say it’s a little generic, but in a good way. This phone has the same 7.3mm thickness of the OnePlus 5, but the height and width have increased just a tiny bit. For all intents and purposes, these phones are the same size. The OnePlus 5 caught some flack for looking vaguely like an iPhone 7 Plus, but I feel like the resemblance wasn’t as clear in real life. Since this phone is basically the same design, it too has an iPhone-y vibe. The edge has an interesting rounded chamber that gives you a little grip without being sharp. It’s a distinctive shape that doesn’t look flashy—this is a very “stealth” phone. It’s not water resistant, though. The power button and volume rocker are tight and have good tactile feedback when you press them. There’s also the three-position alert slider, which I didn’t like back when it first showed up on the OnePlus 2. Now, I’ve come to like it, or at least I understand why people like it. I prefer to automate my do not disturb mode, but the alert slider does its job admirably. Just a flick of a switch, and your notification mode is changed. Down on the bottom of the phone is the USB Type-C port, and what’s this? A headphone jack. OnePlus knows which side its bread is buttered on, as they say. OnePlus fans are still adamantly pro-headphone jack, so it kept the jack. The audio quality from this port is good. I wouldn’t call it amazing, but it competes ably with most flagship phones. The display is one of the most significant changes here—the new 6-inch panel offers more screen real estate in roughly the same device footprint as the 5.5-inch OP5. The resolution is still 1080 across, but it’s 2160 pixels tall now. The corners of the display aren’t aggressively rounded off as they are on many other phones this year. Importantly, this is a Samsung panel, but it’s not one of Samsung’s best panels. Viewing angles are good enough—there’s no significant color shifting until you get to an extreme angle, and then it’s warm and distorted (this effect is more noticeable in bright light). The outdoor brightness is decidedly middle-of-the-road. It’s good enough, but more expensive phones like the Galaxy S8 have OP beaten here. At low brightness, you can use the OP5T in a dark room without burning your retinas, but there is a pronounced black smearing/ghosting effect. This is not unusual for OLED displays, but the effect is more obvious than it is on Samsung’s current-gen phones. The OnePlus 5 display became known for “jelly scrolling,” a stretching effect caused by the display’s inverted orientation. This effect looked very subtle to me, but some buyers were supremely annoyed by it. After staring at the 5T’s OLED for a week, I can’t see any sign of jelly scrolling. I suspect OP managed to get the panel fitted on right-side-up when it revamped the chassis. Out of the box, OnePlus has calibrated the OP5T to have vibrant colors, but you can go into the settings and enable sRGB or the slightly more saturated DCI-P3 setting. There’s also a custom mode and an adaptive mode. The display is crisp, and the colors are good overall. 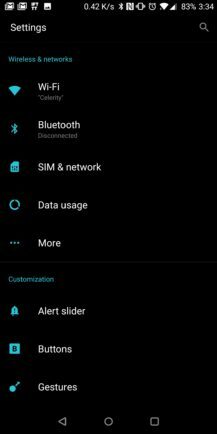 However, The display on the OnePlus 5 looks a bit more saturated at all of these settings. OnePlus had to make a change to its button layout thanks to the larger display. Rather than awkwardly squeeze hardware buttons on the front of the phone, the 5T moves to on-screen buttons only. I’m very happy about this change as I was never a fan of the small, unlabeled capacitive buttons on OP’s old phones. I also like the location of the fingerprint sensor now. It’s on the back about a quarter down from the top of the phone, the same place Google and LG have their sensors. It’s the perfect place to tap as you pick up the phone. The sensor isn’t as prominent on the back as it is on many phones, though. It’s almost flush with the aluminum surface. That makes it a bit harder to find by touch. The last few years of OP phones have sported some of the most impressive fingerprint sensors on the market. The 5T’s sensor is still one of the best you can get. It’s fast and accurate, but I have noticed more failed reads than I ever got on the OnePlus 5. 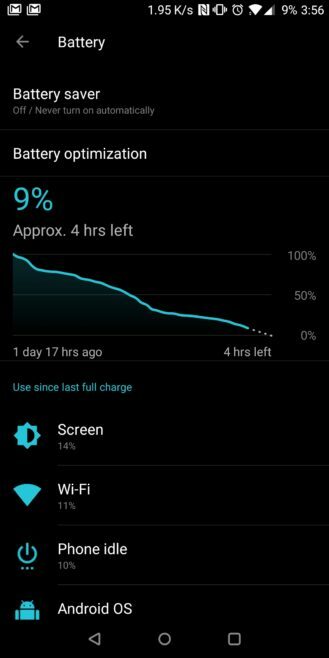 This isn’t a huge problem, but I suspect OnePlus still has some optimization to do here. When it does recognize my finger (which is still almost every time), the device unlocks instantly. I will admit to being a bit perplexed by OnePlus’ camera decisions on the 5T. It’s still a dual-sensor setup, but the telephoto lens from the OP5 is gone. Instead, there’s a 20MP low-light sensor (the one closer to the flash) paired with the same 16MP regular camera. I was never thrilled with the quality of the 2x zoom photos on the OnePlus 5, but there have been times I was happy to have the zoom (mostly outdoors). The benefits of this new camera setup are much less clear to me. In good light, the performance of the 5T’s camera is almost exactly the same as the OnePlus 5. Outdoor shots are exposed well, and there’s good detail in most shots. Some fine details can end up a little fuzzy from heavy-handed processing, though. The HDR mode on this phone still lacks compared to what you get with a more expensive phone. HDR can improve shots, but it seems easily overwhelmed. Light areas of photos tend to get blown out, and detail is missing in darker areas. Focus is reasonably fast, and capture speeds are very quick. I’m not crazy about the OP5T’s camera performance indoors. Shots are often too warm and soft, but it’s better than other phones in its price range. There’s still no optical stabilization on the OP5T, but it has electronic stabilization. I’ve seen some implementations of EIS that work very well, and some that are essentially worthless. OnePlus’ version can compensate for small movements, but it’s not up to the task in lower light when shutter speeds get longer. You need to hold the phone reasonably stable to avoid blurry pics. I didn’t like the way the OP5 would deactivate the telephoto lens in low light, silently substituting the main camera with digital zoom. It wasn’t clear to the user that was happening, and the OnePlus 5T has a similar setup with the low-light camera. Below 10 lux of brightness, the secondary camera takes over. There’s no indication in the UI when this happens, though. The secondary 20MP camera has the same f/1.7 aperture as the main camera, and the higher resolution means the pixels are actually smaller on the sensor. So, how is this a low-light camera? OnePlus says it uses something called “Intelligent Pixel Technology” to combine pixels to increase brightness and reduce noise. Yet, there’s still a 2X zoom button in the OP5T’s camera app. This seems misleading when you’re just getting digital zoom. I don’t see a significant difference between the OP5T and the OP5 in low light. 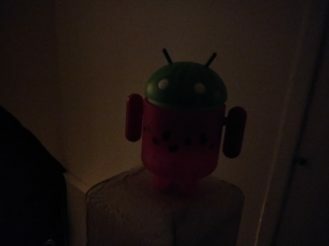 You can make out objects more clearly on the 5T with its low-light camera, but that’s rarely the difference between a good photo and a bad one. It’s just going to be a slightly less ugly picture. When you’re closer to that 10 lux cutoff, the low-light camera can salvage a picture the main camera might bungle. Don’t get me wrong—for the money, this is a solid camera. It just can’t touch the experience on a Pixel or Galaxy S8. The OnePlus 5T’s specs are more or less identical to the OnePlus 5, so you should already know what to expect here from a performance standpoint. I’m testing the version of the 5T with 8GB of RAM and 128GB of storage. There’s also a 6GB/64GB option. I don’t know how much of a difference the extra 2GB of RAM makes, but I have no issue with apps falling out of memory on this phone. I’ve even had large games sit quietly in RAM overnight. In my time with the OnePlus 5T, this phone has been blazing fast. Apps open in a snap and multitasking is a breeze. The quick-switch shortcut to flip between two apps doesn’t exhibit any lag as it does on phones like the Galaxy S8. Performance is usually right up there with the Pixel 2, but the consistency of the OP5T falls a bit short. Sometimes there’s a spot of lag when installing apps or taking burst shot photos. I’ve also spotted some mysterious lag in the notification shade. I’m being nitpicky here—this is still one of the fastest phones I’ve ever used. Before I talk about battery life, here’s the standard disclaimer. The way I use my phone is probably very different than the way you use your phone. Thus, your experiences may differ from mine. For the record, I used this phone full-time while reviewing. I managed email on three accounts, sent messages, played some games, streamed music, and browsed the web. 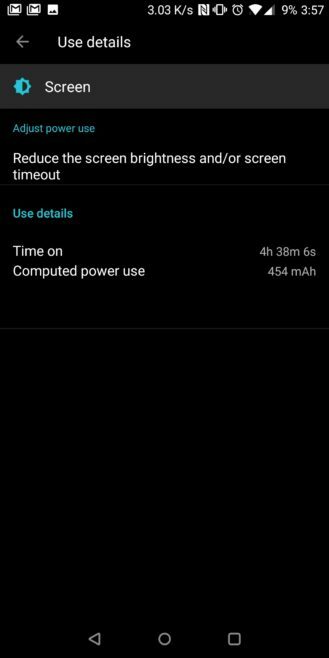 The OnePlus 5T made it through about a day and a half of moderate to heavy usage with between four and a half and five hours of screen time each charge cycle. With heavier usage in a single day, you can eke out around six hours. The 5T’s battery life is slightly weaker than the OP5, but not by much. A small reduction from the slightly bigger screen is to be expected. As it stands, the OnePlus 5T gets above average battery life. I’m torn on Dash Charge. While the OnePlus 5T charges incredibly fast (20W), Dash Charge doesn’t have the same backing as Quick Charge or USB-PD. If you want more Dash Charge cables and adapters, you have to go through OP itself. I wish this phone also fast-charged on USB-PD in addition to its own standard like the Mate 10 does. The charging speed on third-party cables is less than half as fast as Dash Charge. Google released the code for Android 8.0 several months ago, but OnePlus isn’t launching its new phone with Oreo. The OnePlus 5T comes with Android 7.1.1 Nougat, and will get an update to Android 8.0 early next year. If OnePlus wants to compete with the market-leading OEMs, I think we need to hold it to the same standards. I wouldn’t give Samsung or Motorola a pass on this, so OP doesn’t get one either. There’re no two ways about it—launching this phone with Nougat is a mistake. OnePlus’ version of Nougat is still pretty nice, though. I can’t fault OnePlus for the work it’s done to make OxygenOS a viable custom build of Android. That first build on the OP2 was rough, but it’s gotten much better. OxygenOS includes features like screen gestures, a dark UI mode, a status bar icon manager, and nav bar customizations. On that last count, you might be interested to know the new on-screen buttons don’t look like stock Android exactly. They’re a little smaller and closer together, a bit like Huawei phones. The double-tap and long-press shortcuts are still available in the settings, though. 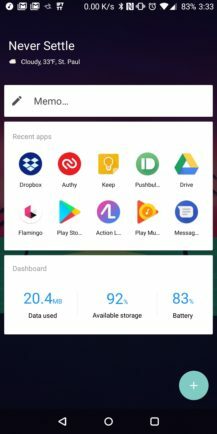 The home screen got a few visual tweaks for the OnePlus 5T, but there are no functional changes. The Shelf UI is still there, and I still don’t see the point. 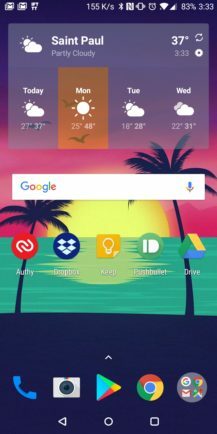 Having the Google Feed and a selection of custom OnePlus widgets for the home screen panels would make more sense. There’s also a new “Parallel Apps” feature that allows you to clone things like Facebook and Skype to more easily use them with multiple accounts. OnePlus is bringing renewed focus to an old favorite—Face Unlock. Android has had face unlock support for ages, but OnePlus has built a new version for the OnePlus 5T because Apple is now all about Face ID. This phone doesn’t even offer to add fingerprints during the setup process, but you are advised to configure Face Unlock. So, how does it work? Better than I expected, but still lacking in elegance. OP’s Face Unlock works with the front-facing camera, so it can only do so much. If you’re inside that camera’s field of view, the phone detects your face and unlocks the phone as soon as it wakes up. When it works, it’s effectively instantaneous. You might not even see the lock screen. However, Face Unlock can be thrown off by poor lighting, extreme angles, and even sunglasses. It works about 90% of the time, but that’s not enough. I have this feature enabled, but I still prefer to just unlock the phone with a fingerprint. The OnePlus 5T looks and feels like a more expensive phone than it is. The aluminum unibody design is understated and inoffensive, and I’m pleased OP is sticking with the headphone jack. Although, I think OnePlus would have been better served by keeping the old dual camera setup. The OnePlus 5T continues OP’s tradition of offering high-end hardware for a reasonable price. It’s $20 more than the OnePlus 5, but I think that’s a fair increase for what you get. The larger 18:9 display gives you more screen real estate, and the fingerprint reader is in a better spot (in my opinion). Price increases are nothing new for OnePlus—every one of its phones has been a little more expensive. I worry that eventually OnePlus is going to take it too far and it’ll lose the “budget flagship” advantage. At the same time, all phones are getting more expensive. You can buy phones that cost $1,000 now, so by that measure, OnePlus’ prices are rising slower than the rest of the market. $500 is still a lot in absolute terms, though. You have to pay that all to OnePlus up front, whereas Google, Samsung, and carriers offer free financing on phones. Even if the OP5T is a bargain, it’s still kind of a pain to buy. If you have a OnePlus 5, you probably don’t need to run out and buy the 5T. It may be the perfect phone for a lot of people who are due for an upgrade. It dominates that gulf between $250 budget phones and the $700-1,000 flagship space. It does a lot of things very well, and the rest is good enough. The $499 version of the phone with 64GB of storage and 6GB of RAM will probably serve most buyers well. Hell, you could almost buy two of them for the price of a Note 8.